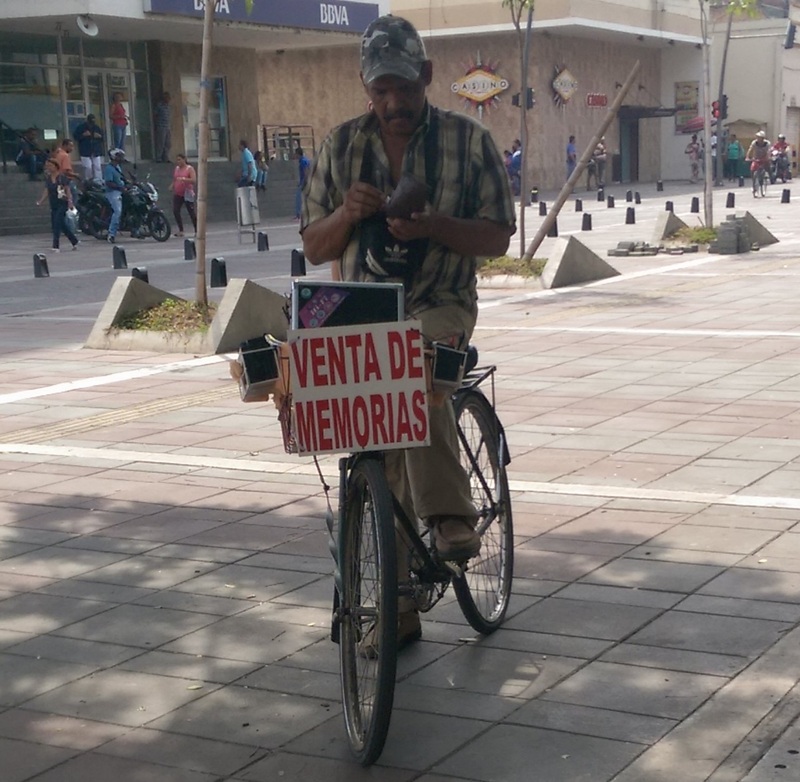 As I’ve mentioned before, we have a man who rides around town on a pushbike that has a basket on the front with a little sign claiming that he is a “Venta de Memorias” (seller of memories). In the land of magical realism this conjures up all sorts of scenarios. It turns out that he is selling USB memory sticks. This might be more mundane than initial impressions suggest, but the man does have a compelling piece of advertising going on. The Chiclet Seller is a staple on the streets of many Latin American countries. Chcclets are a brand of chewing gum and selling them is a way for someone who is usually extremely poor, often to the point of being homeless, to make some money without having to beg. As far as I can make out, people buy a box of Chiclets in bulk and make money by selling them individually on the streets. Sometimes a Chiclet seller will get on a bus and walk down the aisles, placing a Chiclet on everybody’s knee. Then they go to the front of the bus and give everybody a bit of information about their background and circumstances: an explanation for why they are selling the Chicets. Then they go back round the bus. You either give them the Chiclet back or pay what you like for it. The bus busker is more prevalent in cities bigger than Palmira. For instance, the Mio in Cali has a stretch which is a particular favourite. 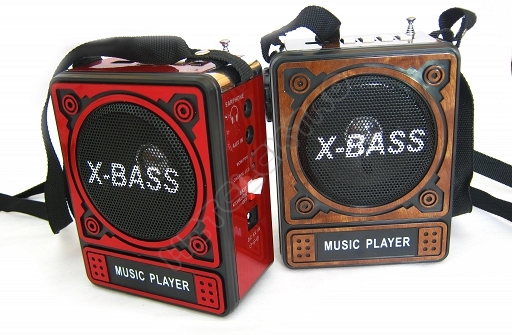 The bus buskers are singers who jump onto public transport with a square cassette player (see photo below) strapped around their neck. They play a tune or two while singing along. Buskers will usually give a little speech like the Chiclet Seller. Sometimes it will explain their circumstances, but usually it will just be to thank people for listening and asking them for a small donation. Most of them are quite decent and some of them are excellent. Traffic lights take a long time to change in Latin America. This gives enterprising young people the opportunity to practice their circus skills in front of the traffic and take a collection before the lights change. I’ve seen people dressed as clowns, clowning about; spray painted statue types with seemingly no way of collecting any money and jugglers. Lots of jugglers. Juggling balls is a rarity, with most practitioners preferring to use clubs. At night I have seen the odd fire juggler and even a fire breathing act or two. By far the most hairy was a guy juggling three machetes who dropped more than he caught. I think most people called him over to give him money just to stop him because they were scared he was about to lose a limb, or take somebody else out. This is far and away the worst looking job I’ve seen on the streets. 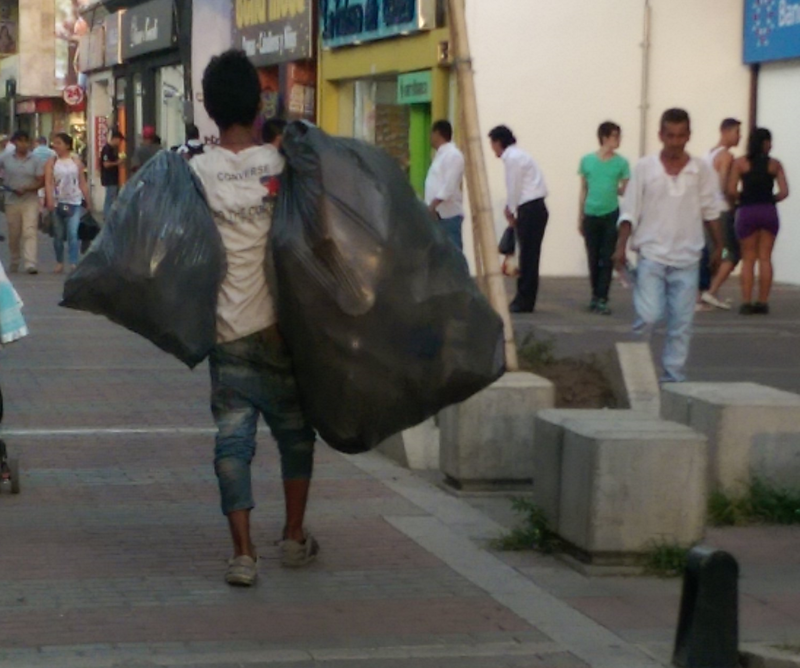 As Colombia doesn’t have a terribly well developed domestic recycling system most people put all of their rubbish into a bag and chuck it on the street in the evening. During the day the rubbish recyclers are based around La Galeria (the indoor market) where they will sift through the market sellers rubbish. By late afternoon/evening the market has closed down and households are putting their daily rubbish out, so they fan out into the neighbouring barrios and go through that. The people who do this usually look filthy, unsurprisingly, and a lot of them are incredibly thin due to their drug usage. There is a form of coca paste called Basuco (“bazooka”) which is a popular street drug and I think this is probably what many of them are using. When I finish school I usually catch a bus into town. There is a big roundabout junction which is controlled by traffic lights meaning that a lot of the traffic can be sitting at the junction for a few minutes. This offers lots of opportunities for ad hoc business activity and sure enough there are mandarin sellers, various food stalls, men who offer to help you catch your bus and occasional sellers of football shirts on match days. It also the occasional home to the simply stunning tyre whacker guy. I’ve only seen him a couple of times. He’s a pretty intense looking fella who doesn’t appear to own a shirt and whose jeans have an impressive number of holes perforating them. Last week I was standing by the side of the road, hunched under the pedestrian bridge and shielding from the heat when he appeared from behind a pillar cracking a piece of wood in two in a fairly aggressive manner. I jumped on the bus and sat down. Tyre slapper bloke then proceeded to walk around the bus, slapping each tyre as hard as he could with his stick of wood. 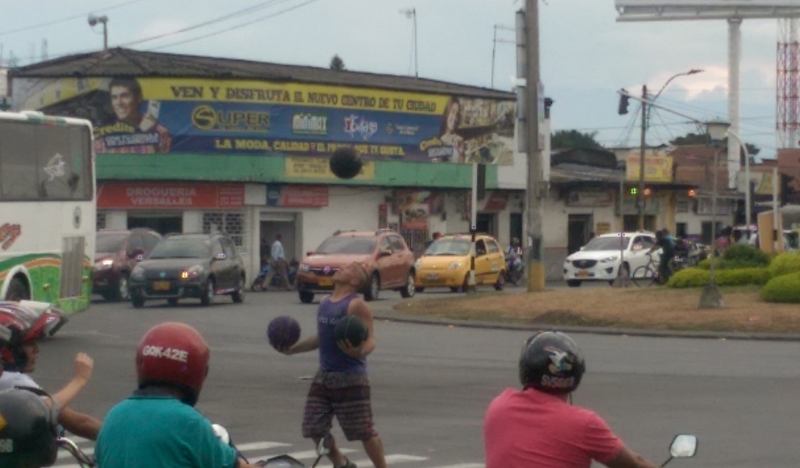 The driver gave him $100 pesos for his trouble. The general consensus is that he is providing a service checking the air tyre pressure on buses, although we remain unconvinced of the efficacy of his method.